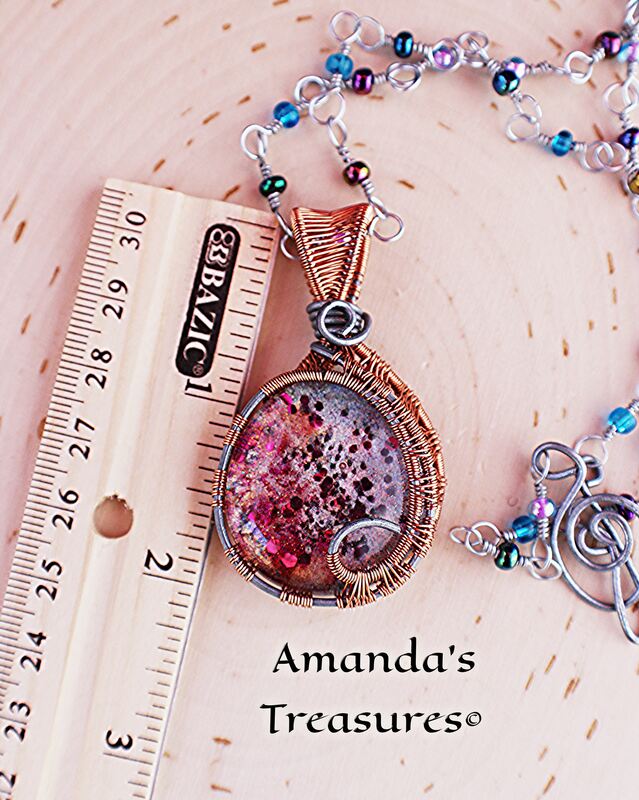 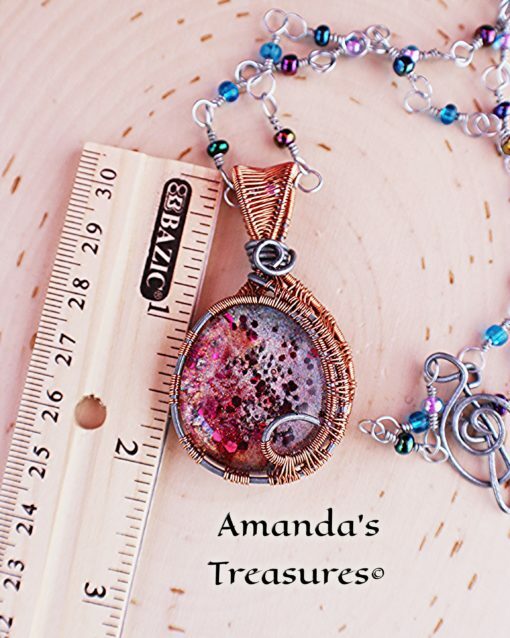 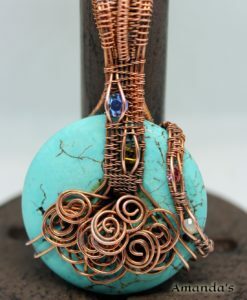 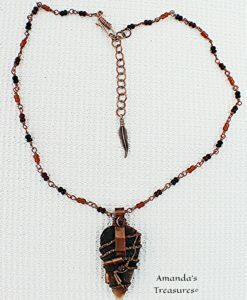 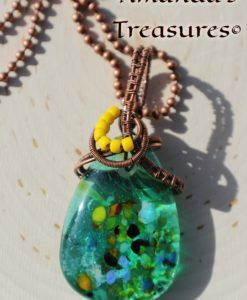 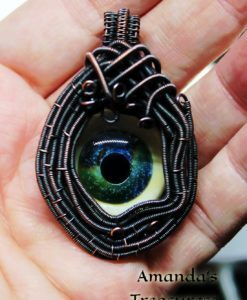 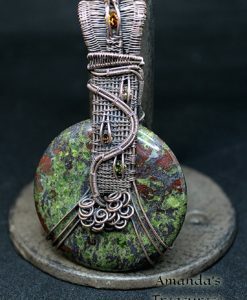 This is a holographic hand painted copper and steel wire wrapped necklace. 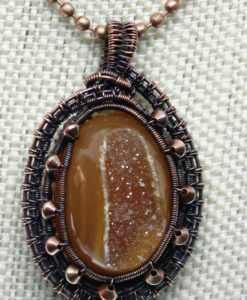 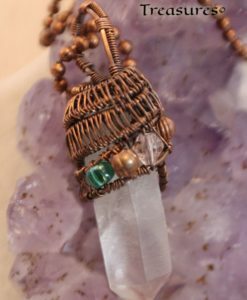 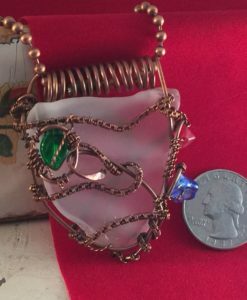 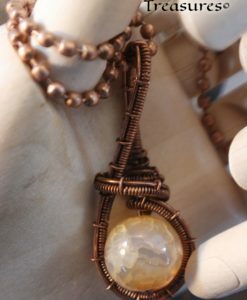 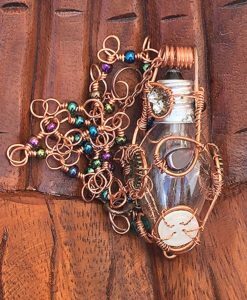 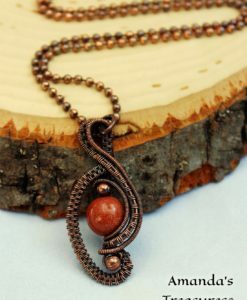 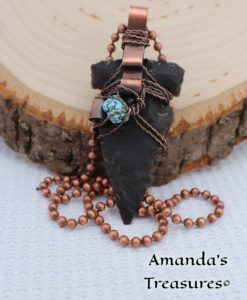 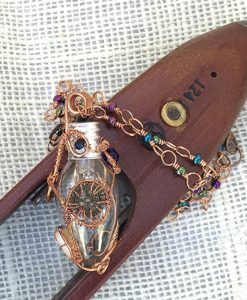 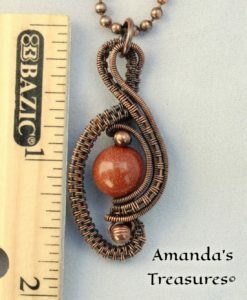 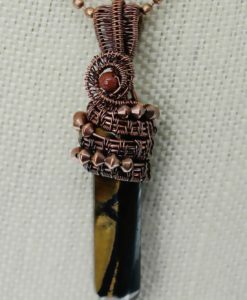 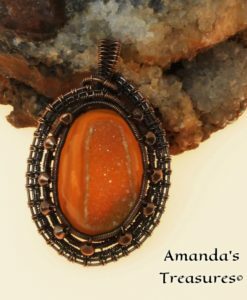 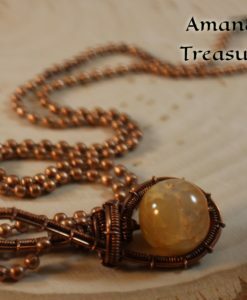 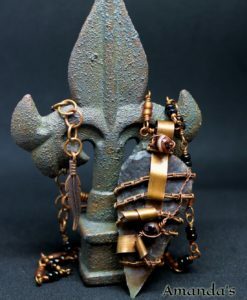 The type of copper used in the pendant of this necklace is tarnish resistant and will keep the bright copper color much longer than untreated or raw copper. 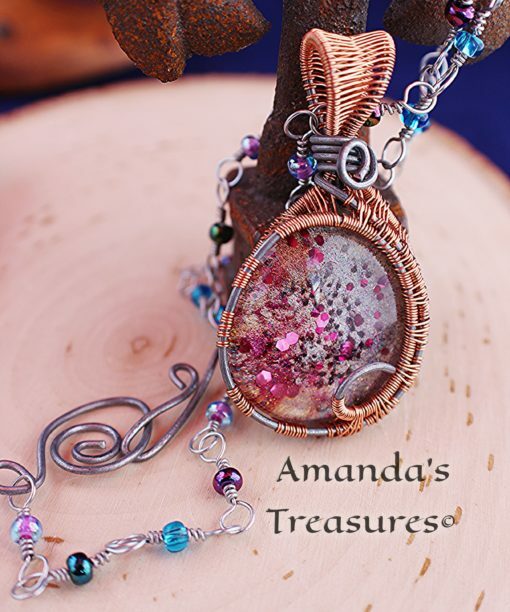 The hand-painted pendant has many colors including, blue, pink and copper just to name a few. 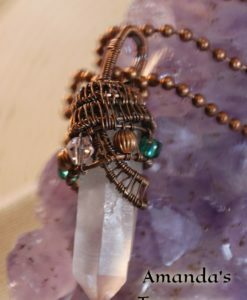 This pendant will change colors according to different lights because of the holographic element. 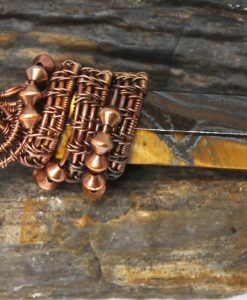 The wire wrapped chain is made of galvanized steel with an added handmade leaf design clasp, each individual bead of this chain is hand done to make up each link in the chain. 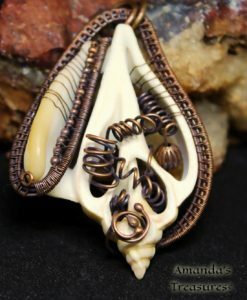 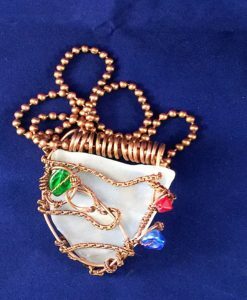 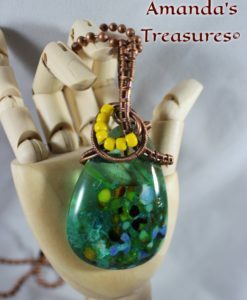 The beads of this chain echo the beautiful colors in the pendant. 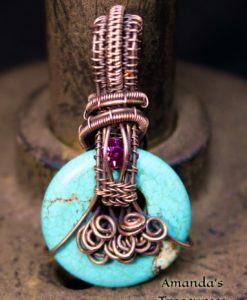 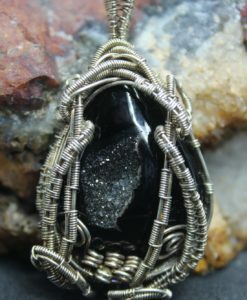 This design is one of my favorite jewelry wrapping techniques. 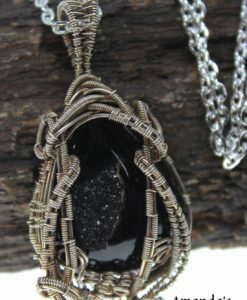 Perfect gift for her on any occasion. 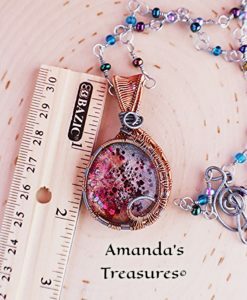 Hand-painted and wrapped with love and dedication by Amanda’s Treasures.